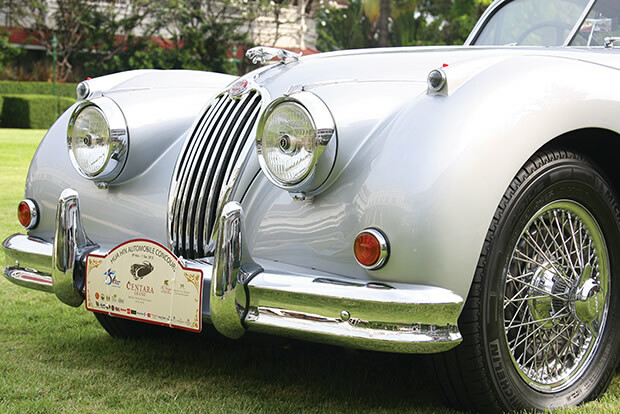 The 11th edition of the Hua Hin Automobile Concours is a weekend of luxury, philanthropy, and of course, cars. Bathed in the soft pink light of the sunset and aided by the warm ocean breeze and melodious strum of a live harpist, an undeniable nostalgia floated through the Centara Grand in Hua Hin during the 11th edition of the Hua Hin Automobile Concours, which took place November 29 through December 1. 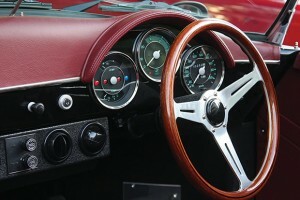 The event featured more than 50 rare classic cars spanning the decades, from a 1922 Austin 7 all the way to a limited production 1984 Morgan Plus 8. The weekend also celebrated the birthday of His Majesty King Bhumibol with the classic car owners and event attendees performing a number of philanthropic projects, including donating 86 bicycles to the children of four different schools. 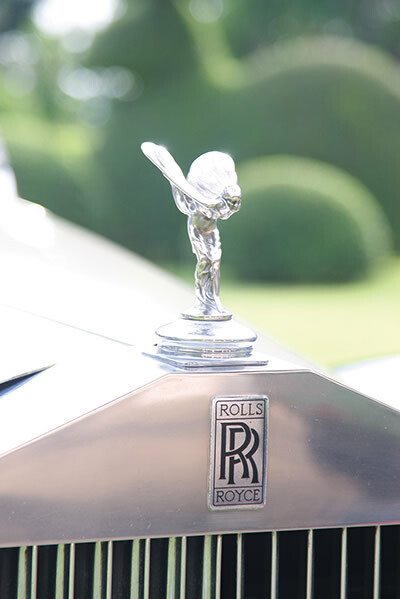 One of the highlights of the concours was a Rolls-Royce Silver Dawn, built in England during 1949 to 1955, which was displayed by Dr. Prachin Eamlumnow. This rare car, one of only 760 in production, has a regal history; nicknamed “Ramprapath,” it was originally a birthday present for Chao Phaya Ramakob, Bangkok’s first mayor. The car was also used by Queen Elizabeth II during her state visit to Thailand. A 1928 Packard 626, owned by avid collector John Smith and displayed publicly for the first time, was another standout of the weekend. The Packard was hand-built in the same fashion as the original, with 90 percent of the work carried out in Hua Hin. 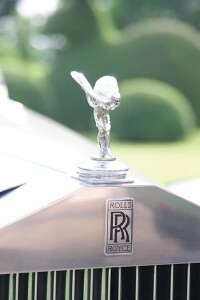 The car features a boat tail design, which still exudes the same luxury as it did in the 1920s. The 5.2-liter engine has been completely rebuilt, again in the original style. An advertisement from the era that was displayed next to the car lauded the state of the art “springing and steering devices,” which likened the Packard motoring experience to the smoothness of drifting on a yacht. Other stars of the concours included a 1964 Corvette Stingray which was used in the 1978 movie “Stingray,” and a 1955 Mercedes-Benz 300 SL Coupe, the first car to feature gullwing doors. Another spectator favorite was a cherry red 1958 two-door convertible Porsche 356B, and a royal purple 1957 four-door Chevrolet Bel Air hardtop coupe that looked like it had just cruised into Hua Hin from an American-style sock hop. The colonial architecture of the hotel, which was originally built in 1922 by the Thai Royal State Railway and is now operated by the Centara Grand, provided the perfect backdrop to showcase the classic cars, and many were displayed on the sprawling grounds amidst whimsical topiaries of elephants and peacocks. In this idyllic setting, it seemed as if these were more than just cars; they were time machines, evoking a sentimental longing for an era gone by, an era Klai Kang Won (far from worries) where the past is perfectly preserved for the sole reason that it is beautiful. One of the attendees, Catchavee Sakornvisai, who displayed his cream-colored 1967 fintail Mercedes-Benz, described owning a classic car as more than just a hobby. “For me, my car brings back memories of my father who owned a Mercedes dealership and maintained a love for classic cars,” he said. The weekend also featured music and dining at the Venezia in Hua Hin, on Friday night, and a gala charity dinner at the Centara Grand on Saturday night, where attendees dressed in both traditional Thai costumes from Rama VI to Rama IX and period costumes from the 1950s and 1960s. The Centara Grand expects the concours to keep on growing as more classic car aficionados are drawn to this yearly event in the beach town. The 12th edition of the concours will take place in the winter of 2014.